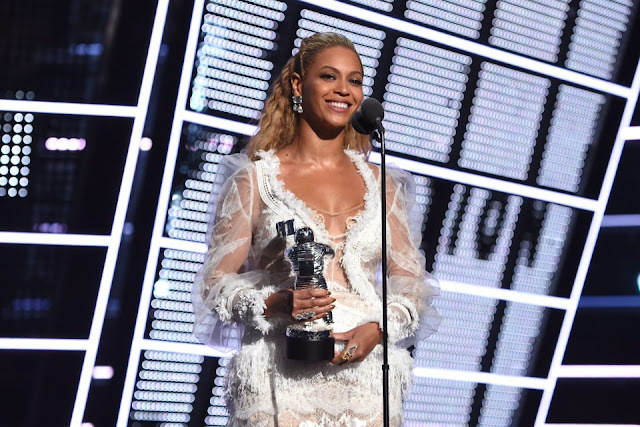 The magic of Beyonce soared higher when she scored the maximum number of top honors at the prestigious ceremony of MTV Video Music Awards on August 28, 2016. She was also the proud star to have won ‘Video of the Year’ award for this year. The American singer was seen leading each nomination heading into the show by eleven nominees that were lined up for her various music tasks. She tasted great success of her ground-breaking album "Lemonade" while her short film was also praised everywhere. Beyonce was quick to rack up the trophies and earned awards for being the best at choreography, direction, editing and cinematography. She named these awards for "Formation" which the star made unforgettable by performing as a piece of a show-stopping Lemonade medley. The 34-year-old was also honored with "Video of the year" trophy. As receiving the prize, Beyonce dedicated the trophy to the victims of severe flood in New Orleans, Louisiana. She said she is with the people of the state who have been suffering harder due to cruel flooding in recent time. The hit-maker won 21 trophies which is the maximum number of VMAs so far. With these victories, she has broken the record for most wins at the prestigious awards as she surpasses the previous maximum awards winner Madonna, who was honored with 20 trophies at VMAs. Another big victory went to the Barbadian singer Rihanna at the MTV Video Awards where she also kicked off the ceremony with her performance. She played four of her hit songs in the New York Evening such as Only Girl, and We Found Love. Her 'Where You Have Been' was also listened loud in the surrounding of the venue that truly mesmerized the people in attendance. After opening the ceremony with her breathtaking tracks, Rihanna later appeared again on the arena of Madison Square Garden and played some more records such as 'Needed Me' and 'Diamonds'. She was the winner of the most prestigious award of the show which is a dedication to the late legendary singer Michael Jackson. The Canadian singer Drake handed over the trophy of Michael Jackson Video Vanguard Award to the songster. Rihanna didn't only win the MJ Vanguard Award as her collaboration also helped Calvin Harris win the Best Male Video award. The two worked together for This Is What You Came For. They then kissed on the cheeks as Rihanna accepted the prestigious award and said it was indeed a great moment of her music career. The Bajan star also thanked her fans and said her success started as her dream. But it's no more hers as now it is her family's success, it is her fans' success, and it is her country's success. She kept on saying she feels this success goes to the Caribbean as a whole. This achievement is of women, black women. That's why lots of people take it as their little piece is an important and big part of the puzzle. In the end of speech, Rihnna again thanked her devotees for always supporting her.